Students from across the province competed Saturday in the Ultimate Mix Challenge at Polo Park Shopping Centre. 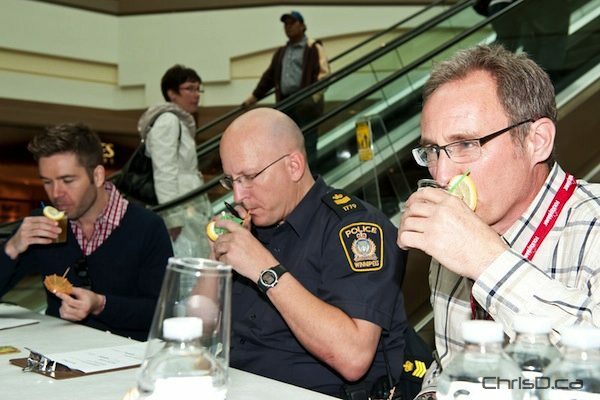 CAA Manitoba held the event to encourage future drivers to create non-alcoholic beverages. “With grad season just around the corner, CAA’s Ultimate Mix reminds teens that you don’t need to drink to have fun and that drinking and driving just don’t mix,” said Liz Peters of CAA Manitoba. 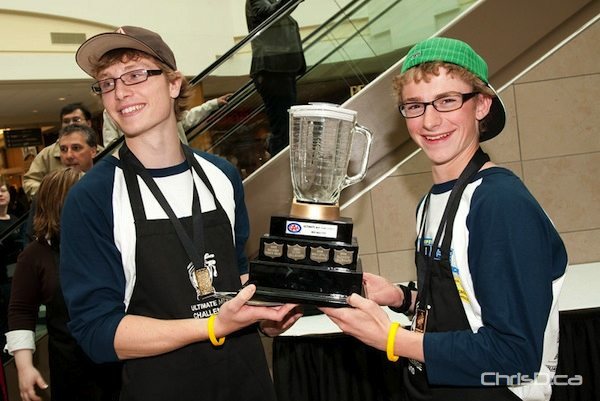 Ten teams mixed up their best concoctions, with the winning brew being awarded to Gillam School, who created a mixture called “Cookies and Cream Explosion.” The winning teens each picked up a $500 gift card to be used on a shopping spree in the mall. Judges for the event were (L>R) Global TV’s Craig Larkins, Sgt. Bob Riffel of the Winnipeg Police Service and renegade photographer Ted Grant, who took a break from snapping some of the photos you see here to get in on the action himself.